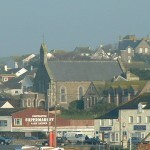 St. Bartholomew’s Church was consecrated on the 24th August, 1841, and the limits of the Porthleven Ecclesiastical District were defined by an Order in Council of 1884. The living is in the gift of the Vicar of Sithney. 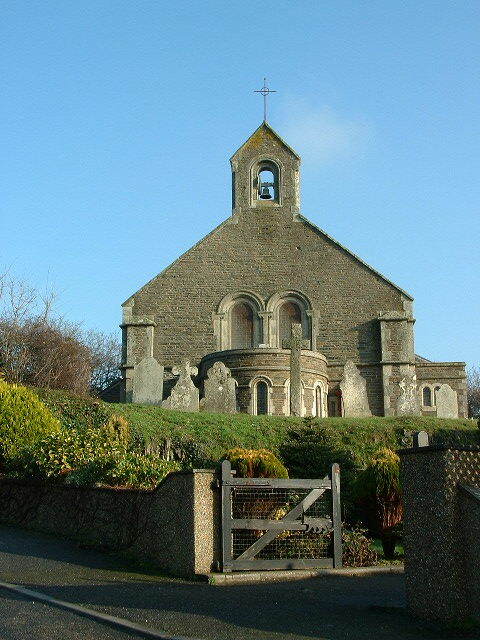 The first marriage in this church was solemnised in 1847, and the first burial in 1848, the deceased being a boy who fell into a “plump” (well) at Sunset Farm. Incidentally, the burial registers contain some interesting entries concerning the burials of bodies washed ashore. They usually read after this style: “February 9th, 1862, male person found at sea, name unknown”. 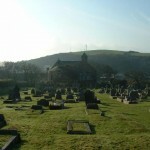 The last person buried in the old churchyard was Mrs. Sydonia Rowe in 1932, who was 96 years of age. 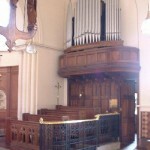 The church, before the recent extension, had seating accommodation for 300 people. 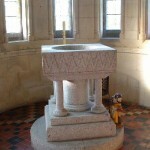 In 1935, through the generosity of Capt. 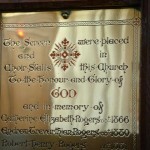 and Mrs. J. L. Rogers, of Penrose, a Lady Chapel was given in memory of their parents. 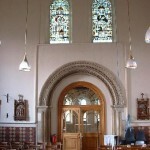 This new wing is a feature of beauty to the parish church. 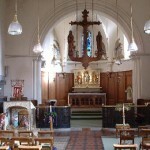 A lovely aumbry has been erected in this chapel in memory of a late Vicar, the Rev. H. W. Corry, who was the parish priest for 37 years.